Because an Erzulliesta’s time is too precious to be wasted on people that makes you feel bad about yourself or just is plain bad for you. Focus your energies to people that wants to embrace you and make you a better person. It’s more productive and better for your whole being anyway. 09 Jun	This entry was published on June 9, 2014 at 8:17 AM. 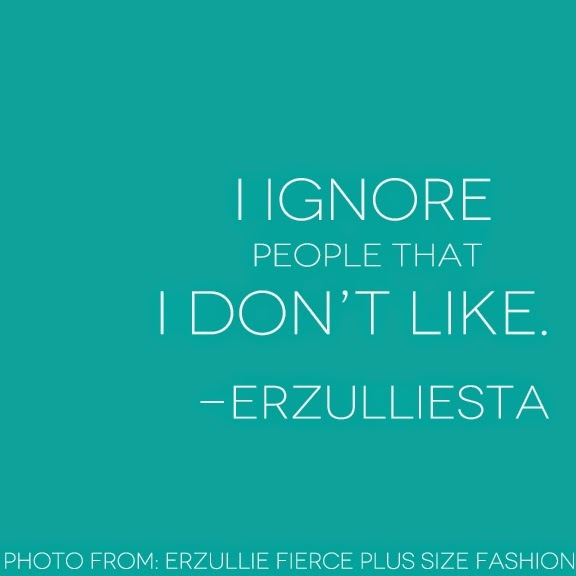 It’s filed under Plus Size Fashion and tagged ERZULLIE, PHILIPPINES, PLUS SIZE, PLUS SIZE FASHION, PLUS SIZE POWER. Bookmark the permalink. Follow any comments here with the RSS feed for this post.